2 Free Historical Romance of the Day, Excellent Historical Fiction Deal for Sunday! Posted on February 28, 2016 Author KibetCategories Free Historical Romance Books KindleLeave a comment on 2 Free Historical Romance of the Day, Excellent Historical Fiction Deal for Sunday! USA Today Bestselling Author Historical Romance, Jules Verne, Honore de Balzac, 5 Free Kindle Historical Romances for Thursday! *The Redemption of Lord Rawlings (Renwick House Book 3) by Rachel Van Dyken. Price: Free. Genre: Historical Romance, USA Today Bestselling Author, Regency. Rated: 4.1 stars on 66 Reviews. 208 pages. ASIN: B00QSG5PX2. USA Today Bestselling Author USA Today Bestselling Author Rachel Van Dyken. *Indian Summer by William Dean Howells. Price: Free. Genre: Historical Romance, Classics. Rated: 4.4 stars on 12 Reviews. 270 pages. ASIN: B01A7J7UJM. Ticket No. “9672” by Jules Verne. Price: Free. Genre: Historical Romance, Sea Adventures. Rated: 4 stars on 7 Reviews. 154 pages. ASIN: B01A7RKFBO. Posted on February 25, 2016 Author KibetCategories Honore de Balsac, USA Today Bestselling AuthorTags Honore de Balsac, Jules Venre Classic, USA Today BestsellerLeave a comment on USA Today Bestselling Author Historical Romance, Jules Verne, Honore de Balzac, 5 Free Kindle Historical Romances for Thursday! A Pair of Excellent Historical Romance Free Kindle Book and Book Deal for Wednesday! Charming Free YA Paranormal Romance! *Fractured Light (Fractured Series, Book 1) by Rachel McClellan. Price: Free. Genre: YA Paranormal Romance of the Day, Sponsor, YA Fiction, Teens. Rated: 4.3 stars on 95 Reviews. 313 pages. ASIN: B007A5NPOG. 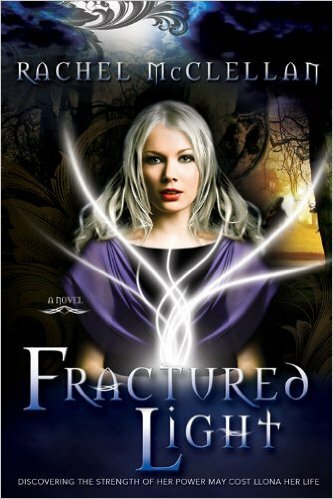 Reviewers like it: “Fractured Light” was such a joy to read! Fresh and exciting, refreshing and different! Charming! If you are looking for a book to take you away from everything else, this is the book for you! *The Traveller’s Daughter (Deal, Not Free) by Michelle Vernal. Price: $0.99. Genre: Historical Romance Deal of the Day, Sponsor, YA Romance, Historical, Romantic Comedy, Teen & Young Adult. Rated: 4.2 stars on 6 Reviews. 324 pages. ASIN: B013R8ZQHS. Reviewers like it: This is one of the best books I have read lately! What a cute story! Flavorful, fascinating and often illuminating! This is a romance with terrific substance! Amazing! Posted on February 24, 2016 February 24, 2016 Author KibetCategories Free Historical Romance Books Kindle, Wonderful Historical Romance Book Deal for $1Leave a comment on A Pair of Excellent Historical Romance Free Kindle Book and Book Deal for Wednesday! *The King’s Black Dragon (Deal, Not Free) by Martha Murray Moore. Price: $0.99. Genre: Historical Romance Deal of the Day, Sponsor, Holt Medallion Merit Award Winner, Historical Fiction. Rated: 4.8 stars on 4 Reviews. 259 pages. ASIN: B00A93ZH1U. *Miss Landon and Aubranael (Tales of Aylfenhame Book 1) (Deal, Not Free) by Charlotte E. English, Rosie Lauren Smith. Price: $0.99. Genre: Romance Deal of the Day, Sponsor, Historical Romance, Regency Romance, Fantasy. Rated: 4.4 stars on 8 Reviews. 242 pages. ASIN: B00FK1WBU6. *His Blizzard Bride by Pamela Jo Edwards. Price: Free. Genre: Historical Romance of the Day, Sponsor, Regency, Romance, Victorian, Western, Inspirational. Rated: 5 stars on 1 Reviews. 47 pages. ASIN: B01ASE94EU. A Good $1 Historical Romance Deal! 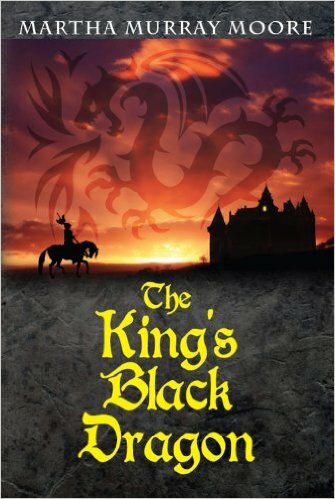 *The King’s Black Dragon (Deal, Not Free) by Martha Murray Moore. Price: $0.99. Genre: Historical Romance Deal, Sponsor, Holt Medallion Merit Award Winner, Historical Fiction. Rated: 4.8 stars on 4 Reviews. 259 pages. ASIN: B00A93ZH1U. 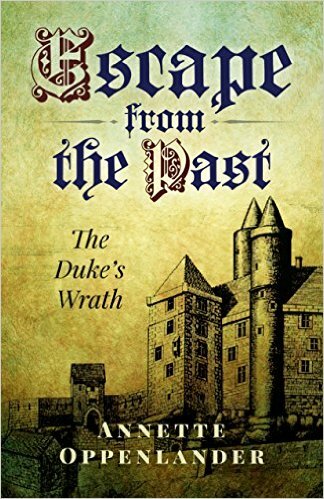 *Escape from the Past: The Duke’s Wrath (Deal, Not Free by Annette Oppenlander. Price: $0.99. Genre: Romance, Historical Fiction Deal, Sponsor, Adventure, Medieval, Action & Adventure. Rated: 4.9 stars on 9 Reviews. 300 pages. ASIN: B00YZ9C956. ***Hounds of Autumn by Heather Blackwood. Price: Free. Genre: Historical Romance, Alternate History, Alternative History. Rated: 4.5 stars on 134 Reviews. 322 pages. ASIN: B00AZMU8W8. *A Touch of Silence by Lisa Lynn Meyer. Price: Free. Genre: Romance, Historical, Historical Romance. Rated: 5 stars on 7 Reviews. 400 pages. ASIN: B00ZPQYFF0. *The Eagle And The Tiger by Tim Davis, Len Dorsky. Price: Free. Genre: Romance, Historical, Military, War. Rated: 4.9 stars on 12 Reviews. 360 pages. ASIN: B01BCPRS1A. *Beneath the Universe by Jennifer Gaskill Miller. Price: Free. Genre: Historical Romance, Romance, Contemporary Fiction, Historical. Rated: 4.8 stars on 13 Reviews. 134 pages. ASIN: B00OAOBNZ8. *For the Temple: A Tale of the Fall of Jerusalem by A. Henty. Price: Free. Genre: Historical Romance Historical, Sea Stories, Historical Fiction. Rated: 4.5 stars on 22 Reviews. 307 pages. ASIN: B01AAGBI7W. Shadows of Al-Bara Kindle Edition by Torri Pines. Price: Free. Genre: Historical Romance, Historical, Organized Crime. Rated: 4.8 stars on 4 Reviews. 128 pages. ASIN: B0182S5K38. Bloody Lessons: A Victorian San Francisco Mystery by Louisa Locke. Price: Free. Genre: Romance, Thriller & Suspense, Historical Romance, Women Sleuths. Rated: 4.4 stars on 272 Reviews. 313 pages. ASIN: B00EEKVSD0. The Old Man in the Corner by Baroness Emma Orczy. Price: Free. Genre: Romance, Historical, Suspense. Rated: 4.3 stars on 18 Reviews. 211 pages. ASIN: B01AAPZ37E. The Filigree Ball by Anna Katharine Green. Price: Free. Genre: Romance, Historical, Suspense. Rated: 4.3 stars on 16 Reviews. 216 pages. ASIN: B01AA7CKPA. The Lion of Saint Mark: A Story of Venice in the Fourteenth Century by A. Henty. Price: Free. Genre: Sea Adventures, Romance, War & Military, Historical, Romance, Historical Fiction. Rated: 4.1 stars on 12 Reviews. 307 pages. ASIN: B01AA39M3C. The Devil’s Prey by Cynthia Hommel. Price: Free. Genre: Historical,Historical Romance, Love & Romance, Romance, Thriller & Suspense, Parenting & Relationships. Rated: 4.1 stars on 7 Reviews. 167 pages. ASIN: B00DIRDX56. That Affair Next Door by Anna Katharine Green. Price: Free. Genre: Historical,Romance, Literary, Classics. Rated: 4 stars on 42 Reviews. 306 pages. ASIN: B01AAB3BO0. The Moneychangers by Upton Sinclair. Price: Free. Genre: Historical, Historical Romance. Rated: 4.3 stars on 23 Reviews. 176 pages. ASIN: B01AB8NW6O. The Spirit of Christmas by Henry Van Dyke. Price: Free. Genre: Historical, Romance, Historical Mystery, Literature & Fiction. Rated: 4.3 stars on 6 Reviews. 27 pages. ASIN: B01ABDBZ5Y. Fizz: Nothing is as it seems by Zvi Schreiber, Learn about Author Central, . Price: Free. Genre: Historical, Historical Romance. Rated: 4.2 stars on 22 Reviews. 531 pages. ASIN: B004Z9EZ44. The Leavenworth Case by Anna Katharine Green. Price: Free. Genre: Romance, Historical, Suspense. Rated: 4.2 stars on 34 Reviews. 322 pages. ASIN: B01AA8PLGO. The Gem Collector by G. Wodehouse. Price: Free. Genre: Historical, Literary, MysterRomance, Historical Romance. Rated: 4.2 stars on 12 Reviews. 115 pages. ASIN: B01AB3QIBA. Blood on the Roses by Robert Hays. Price: Free. Genre: Romance, Historical, Suspense. Rated: 4 stars on 7 Reviews. 250 pages. ASIN: B012B9KS7W. **Tempesta’s Dream: A Story of Love, Friendship and Opera by Vincent B. “Chip” LoCoco. Price: Free. Genre: Historical, Theory, Romance, Italian, Historical Romance. Rated: 4.5 stars on 64 Reviews. 286 pages. ASIN: B00FEYPL10. *Term of Service: Life on the Front Lines of a Modern Vietnam by Brian Welch. Price: Free. Genre: Historical, Military, Middle East, Iraq War, Military & Spies, Historical Romance. Rated: 5 stars on 8 Reviews. 236 pages. ASIN: B01B6PZGOC. Three Links of Chain by Dennis Maley. Price: Free. Genre: Historical, Race Relations, Teen & Young Adult, Historical Romance. Rated: 4.4 stars on 16 Reviews. 250 pages. ASIN: B010C581TO. HISTORICAL ROMANCE: Regency Romance: Falling for the Duchess (Duke Military Victorian Romance) (19th Century Bad Girl Romance Short Series) by Samantha Forest. Price: Free. Genre: Victorian, Military, Regency, Romantic Comedy, Historical, Romance. Rated: 4.3 stars on 12 Reviews. 460 pages. ASIN: B01BRVLB1C. CHRISTIAN ROMANCE: Inspirational Romance: Spirit Child (Contemporary Pregnancy Romance) (New Adult & College Paranormal Suspenseful Fantasy Short Stories) by Samantha Forest. Price: Free. Genre: Mystery & Suspense, Western & Frontier, Historical Romance, Contemporary Women, Women’s Fiction, Romance, Christian, Historical. Rated: 4.1 stars on 24 Reviews. 478 pages. ASIN: B01BTNYZNY.